A SNAPSHOT taken of the unidentified craft with coloured lights sent UFO hunters into meltdown online and NASA has still not provided an explanation for the footage. LOOKS like the International Space Station astronauts are not alone up there, if this mysterious object hurtling past is anything to go by. 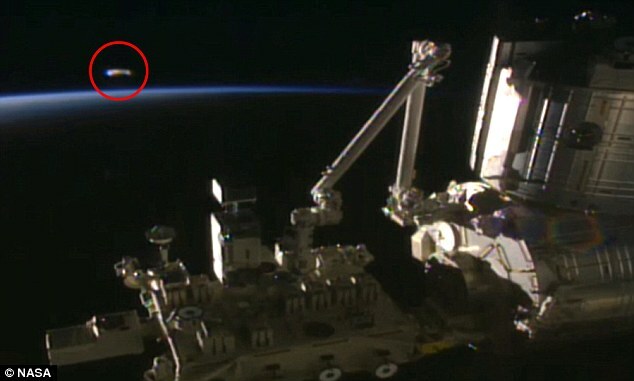 The UFO , which appears to have coloured lights, was filmed live by NASA’s video camera on the craft which is orbiting 260 miles above Earth. But moments later, the feed was cut with no explanation. Jadon Beeson had been watching the images on his phone when he spotted the UFO. His snapshot of the UFO sparked an online frenzy. The agency did not respond to requests for information about the sighting of the mysterious object. NASA is known for monitoring their live broadcasts to keep UFOs off their cameras, but occasionally one makes it through their nets. 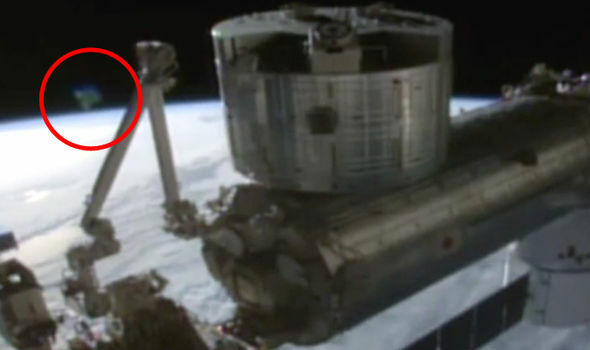 This huge UFO was broadcast from the International Space Station for over 60 seconds before disappearing into space. This is an amazing piece of evidence, and clearly one of the best sightings of 2016.